Home > General > When Should You Get Life Insurance? You should always have health insurance, and you need home and auto insurance once you invest in those things. But life insurance? It’s a lot trickier to decide when that type of coverage should come into the picture. Once you have dependents, you’ll want to get a life insurance policy. This is especially true if you or your partner plans to stay home with the baby while the other works. Losing an income or losing childcare would be tough for a single parent to overcome, financially speaking at the very least. A life insurance policy will give you peace of mind. Plus, purchasing it at a younger age will make it cheaper. If you already have a spouse and dependents, you should already have life insurance. Even if you stay at home, you should have a plan — how would your spouse afford childcare and other domestic services otherwise? Even if you don’t have children, your income supports a stay-at-home spouse. If you fall into this category, you should also invest in life insurance. Your policy probably won’t bolster your spouse forever, should something happen to you, but it’s enough money to cover them while they get back on their feet. Another of life’s milestones that requires life insurance — purchasing your first home. 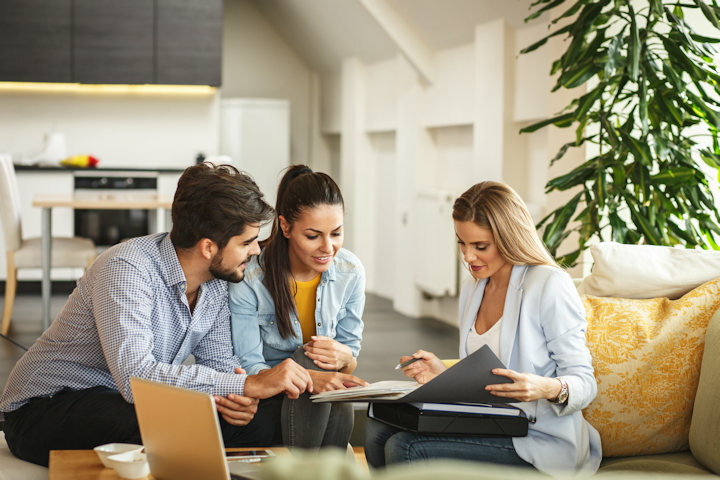 In most cases, you’ll have to pay for mortgage insurance on top of your monthly payments to protect the bank who loaned to you, should you find yourself unable to pay down the line. But you can instead take out a life insurance policy large enough to cover the remainder of your mortgage instead, thus providing the same protection. Then, you won’t have to pay for mortgage insurance, and, typically, life insurance is the cheaper option. Your mortgage is just one example of a debt you might be carrying. Along with home payments, many young adults also have to pay off their student loans. And, while a federal loans will cancel out if you pass away, privately funded ones may not. That would leave the burden of payment on your family or spouse, which you probably do not want to put on them. So, investing in life insurance can help you prevent someone from taking on your debts. Business owners should have life insurance to protect their companies. On the one hand, you might work with a business partner who could be ruined by a lack of funds without your contribution. Or, your employees could all lose their jobs if the business doesn’t have money in the wake of your loss. So, purchase a plan if you run a business, especially one that employs others. Your life’s happenings might not fit into one of the above scenarios. Still, you feel as though you want to invest in a policy for your peace of mind. If so, don’t hesitate — you’ve found that the time is right for you, so you should secure the right plan. To that end, it’s up to you to decide when the time is right. But life insurance is a good investment for you and your loved ones as you look to the future. You never know what will happen, but at least you can rest assured that everything will be taken care of once you have life insurance.